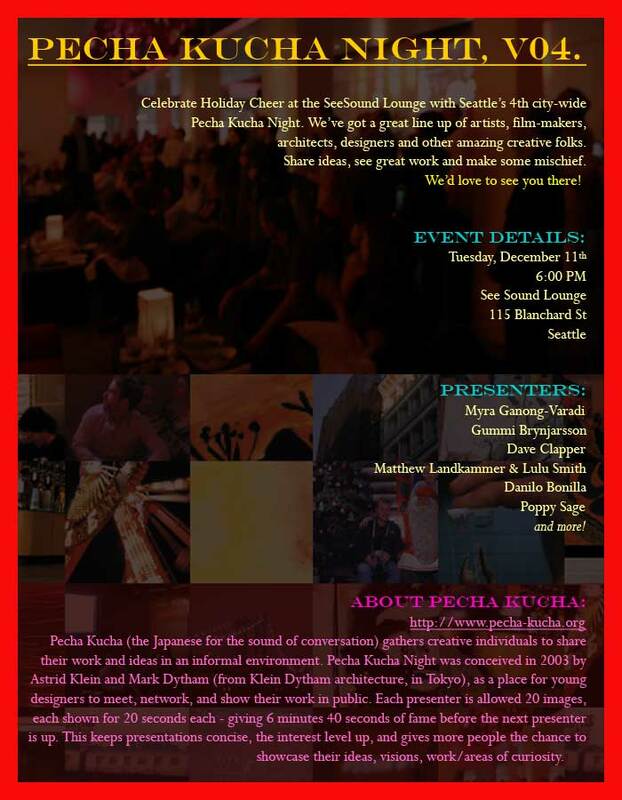 >As one of the presenters at Pecha Kucha, I’ll be offering a sneak preview of our December 15 issue. If you’re in Seattle, come by for drinks and fun and say hello, won’t ya? >Sounds like a great time. Wish I could be there.